Since winning the 5,000-meter run at the New Balance Nationals last June, Darien High standout Alex Ostberg has estbalished himself as one of the top distance runners in the country. Shortly after capturing his first individual title at the CIAC Open Championships on Friday afternoon with a course record of 14:58 at Wickham Park, the Stanford-bound senior talked about being an elite competitor where the bull's eye always seems to be on your back. Darien's Alex Ostberg and Staples' Hannah DeBalsi cruise to individual titles. 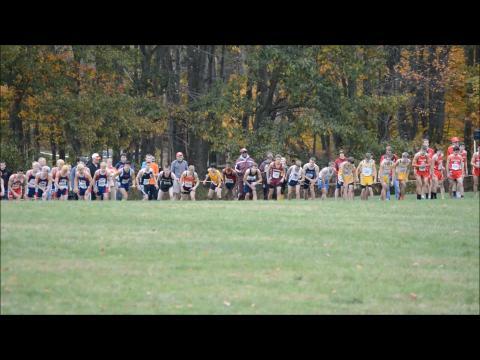 Danbury take boys' crown, while Tolland repeats for girls. Just a few hours before trick-or-treater start hittiing the neighborhoods for Halloween, top teams and individuals from all over the state will converge at Wickham Park Friday afternoon for the State Open Championships. Will top-ranked Tolland High earn its second straight girls' title? Can Ridgefield do it again for boys? Individually, the heavy favorites are Darien's Alex Ostberg and Staples' Hannah DeBalsi. Both have proven their national-rankings are well-deserved. 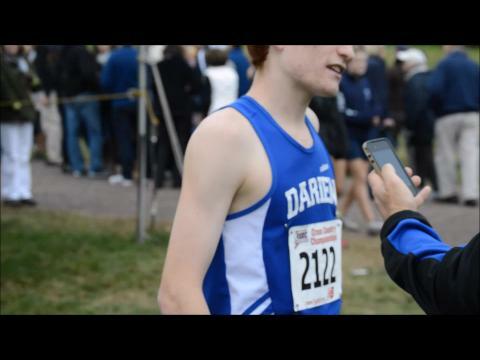 Darien senior Alex Ostberg talks about being one of the nation's best runners after winning the State Open meet on Friday with a course record of 14:58 at Wickham Park. No one dared to challenge two of the nation's best in Alex Ostberg & Hannah Debalsi at the CT State Open.